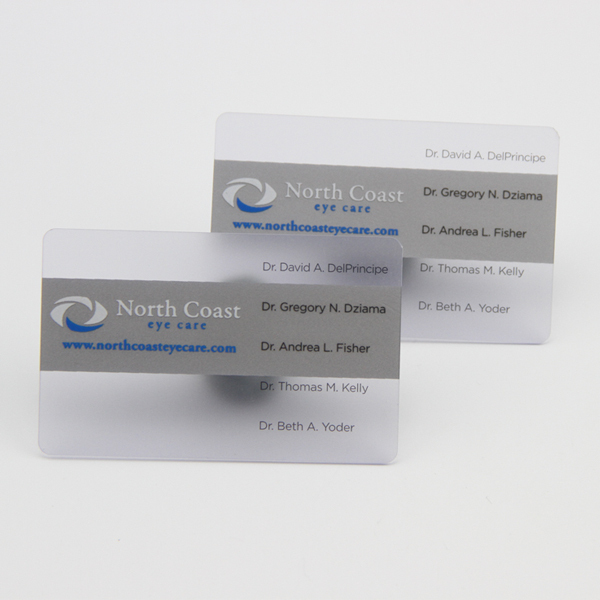 Frosted cards are available in three thicknesses. 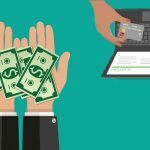 30 mil being the thickness of a standard credit card, 24 mil, and 17 mil. 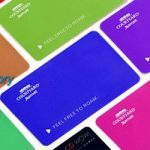 Thinner cards are sometimes preferred by a client who stores their cards in their wallet and wants to cut down on thickness and bulk. 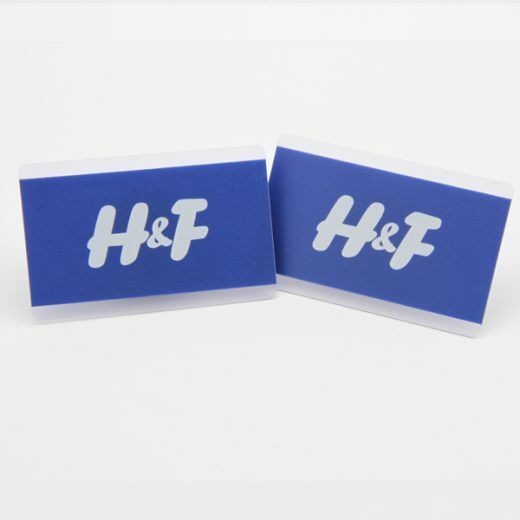 Both of our frosted card thicknesses are very durable, waterproof, and tear proof. Frosted cards are much popular than ever . 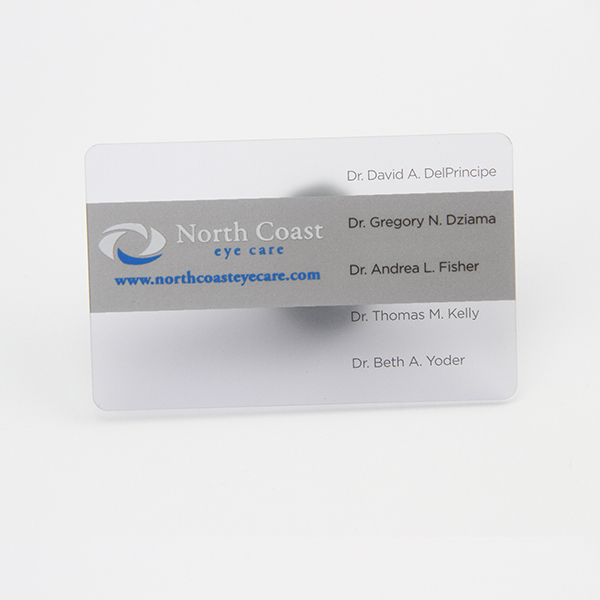 This frosted clear card offers a semi transparent base that shifts objects behind it out of focus and offers a slight opaqueness. 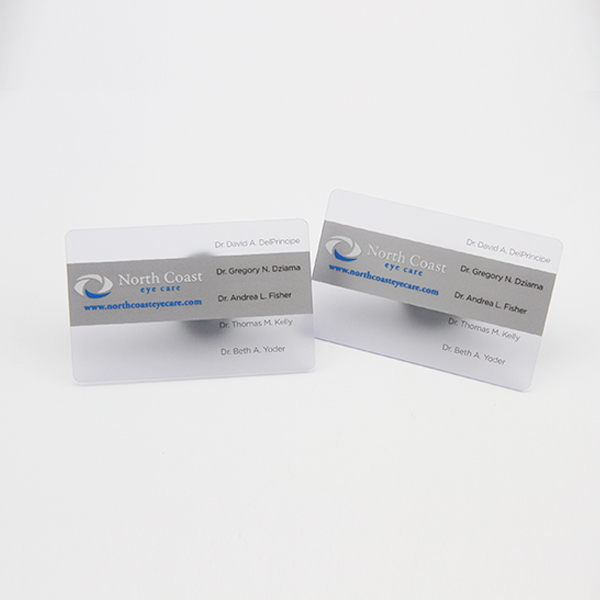 Frosted clear business card are widely used as a business card . When you show your frosted card to your client ,a beautiful and unique impression will be offer from you . 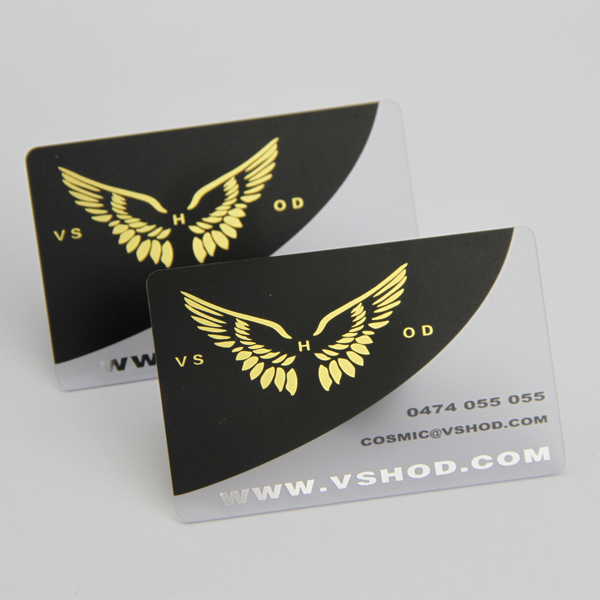 Artwork Options: 4 color offset printing, magnetic stripe, embossing number, signature panel, photo, barcode, hot stamping, gold / silver color, scratch-off, series number, frosted ,matte ,spot uv,etc . Applications Range: Restaurants, retail outlets, clubs, casinos, beauty parlors, cakes & pastry shops, medical clinics, fitness centers, photography & camera shops, advertisements, etc. Payment terms: By T/T or Western Union. 100% full advance payment of the total amount before production. 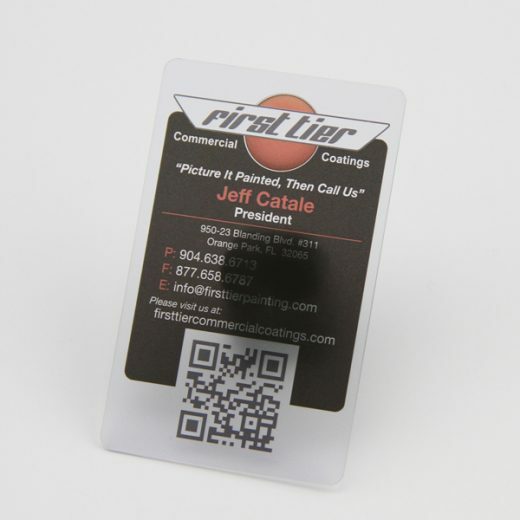 Q5: How do I know I will get high quality, nice printing plastic cards?